It’s Wednesday morning (well it was when I first started writing…it is now a week later) and I am sitting in lovely downtown McKittrick, California. Well, there used to be a downtown McKittrick but that was nearly 100 years ago when McKittrick was an oilfield boom town. Time has been hard on McKittrick. The old McKittrick hotel is still standing, barely. It is no longer being used as hotel but it still serves meals and whiskey and beer. First Post Office opened in 1910 for the town named in honor of Captain William McKittrick, landowner and rancher. A year later the town of McKittrick was incorporated. The oilfields were discovered due to an active petroleum asphalt seep near the town site. The petroleum deposits in the area go from the surface, seeps, through multiple petroleum bearing horizons to as deep as 24,000 feet in the Point of Rocks formation. At that depth hydrocarbons were present but not at commercial quantities. Improving technology has brought the McKittrick area from the days of surface mining the thick and heavy asphalt in 1866 to horizontal wells, steam injection to soften the heavy oils, fracturing the rock to increase the exposure to the reservoir and even going back into nearly 100 year old wells and re-completing them in 2012. 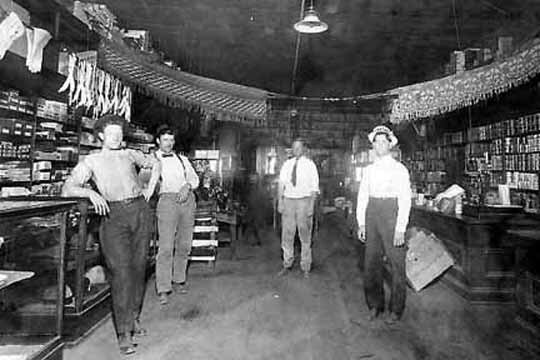 Old Photo in McKittrick Store. The town of McKittrick is essentially a ghost town, very few full time residents but literally thousands of workers show up every morning, commuting primarily from nearby Bakersfield and a number from Taft. The traffic coming out on Highway 58 as well as the infamous Highway 33, is a steady stream of headlights/taillights stretching out for miles like a 55 mph train with destination “oil patch” ahead. Come 4:00PM the train reverses itself and heads back to the home destinations. “Beer thirty” is the common reference to quitting time in the oil patch. Watering holes across Bakersfield and Taft start filling up with the thirsty folks migrating back form the patch. If I let my memories drift back to 1969, my first summer in the oil-patch, we started the “watering” process as soon as we drove off of the oil company property. At the bottom of the water cooler were 6 ice cold bottles of Coors beer. As part of that train heading back to town we tried to be responsible and deposit our empty bottles at the base of various road signs on the drive home. We had no time to stop to drop them off so we launched them hoping they would encounter the sign face and drop neatly to the base of the sign. Ah, the good old days! Now, don’t think too poorly of me, the other night I stopped by the local Hooters on Rosedale Highway for a beer. Rosedale Highway is one of the primary daily migration routes to and from the Patch. I was a little disappointed by the lack of variety at “Hooters”, beer variety folks!!!! I also look around and I see oilfield logos galore. I see Chevron, Halliburton, Nabors, Key Energy, KSI, Oxy, Aera Resources and the list goes on. “Hooters” is just one of many watering holes located at reasonable distances from the “patch”. Besides the obvious head swivels and comments….there is a lot of oilfield talk. Who is drilling, who is hiring, what the pay is, moaning about the traffic and always talk of football! One of my local favorites is Lengthwise Brewing Company – they make some very good beer, have a better variety than Hooters…….BEERS !!!!! and pretty good food. The two beers that I always enjoy when in town are the Centennial Ale, an IPA, and the Triple Hop Red Ale. I am in town for two weeks and I may do a little exploring on the weekend and scoot off to Kernville to sample a couple of their offerings. 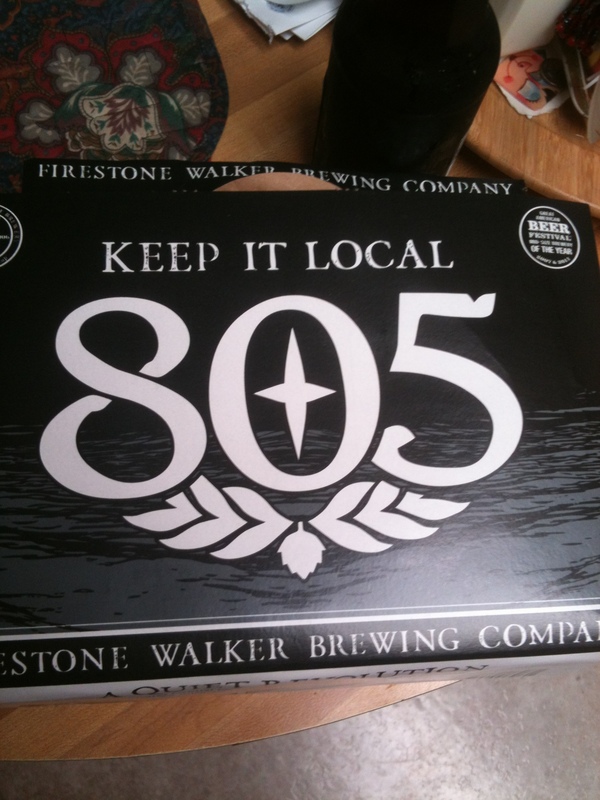 – Update….didn’t make the Kernville drive but I did make it back to the Lengthwise Pub on Calloway to sample a couple more good ones. This week – tried the local BJ’s Brewhouse….a bit of a disappointment – My travel partner and I both like good beers and we had to get down to second and third choices….they had either run out, or changed the offerings and not updated the menu or just weren’t sure. Not a good thing…They do have a good looking list of guest beers but they do not seem to manage the process very well. Service on this trip to BJ’s was not anywhere near good…..We were both disappointed! I was surprised because they weren’t busy but it could be that the young lady was new… I had their Piranha Ale – pretty tasty and an IPA from Healdsburg in northern California….Bear Republic Racer 5 IPA. That was a really nice beer. Next stops – Camarillo, San Luis Obispo and eventually back to Houston.